The Congressman Maurice D. Hinchey Catskills Visitor Center is a partnership between the Catskill Center, a nonprofit organization based in Arkville, NY which has been working to protect the Catskills since 1969, and the New York State Department of Environmental Conservation. Generous financial support is provided by the New York City Department of Environmental Protection and Catskill Watershed Corporation. The Catskill Center is responsible for the management and operations of the Catskills Visitor Center. The Catskill Center, led by a volunteer Board of Directors has an Executive Director and staff that focuses on the work at the Visitor Center and on the other programs and activities of the Catskill Center (learn more) throughout the Catskill region. Sarah has a background in publicity and marketing for socially-minded small companies, nonprofits, and individuals in the arts and entertainment industry. Kelli is a historian and educator excited to be back in her native Catskills. She is passionate about this region’s rich history, culture, and ecology and hopes to share that enthusiasm with visitors and locals. 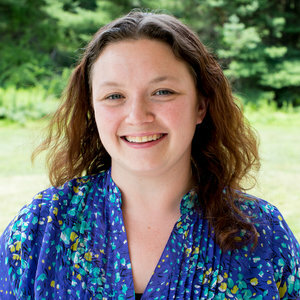 Kelli previously worked as the Education Coordinator at the Chemung County Historical Society in Elmira, NY and has a MA in History and Museum Studies Certificate from the University of Delaware. 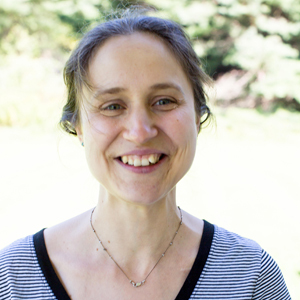 In her research and teaching, she is particularly interested in animal, agricultural, and environmental history, and also has a special fondness for quirky topics in cultural history. She is currently working on her second book, a history of canine celebrity in the late 19th century. In her role at the Catskills Visitor Center, she enjoys helping to make the outdoors accessible for people of all ages and growing visitors' knowledge and appreciation for this part of New York. In her free time she likes to climb, write, hike, and cycle. As a child, Richard Hennings's family had a log cabin on the slope of Overlook Mountain near Woodstock. He went there every summer for many years, becoming attached to the region. He learned how to hike, identify trees, and about the night sky (which was way darker than at home in New Jersey). In 1979 he moved here full time and went on to climb most of the major mountains as well as to develop an interest in birding. Richard holds an Bachelor's and Master's degree in Environmental Science from Rutgers University with an emphasis on water quality. He is a past member of the Ulster County Environmental Management Council and the Town of Olive Conservation Advisory Committee.